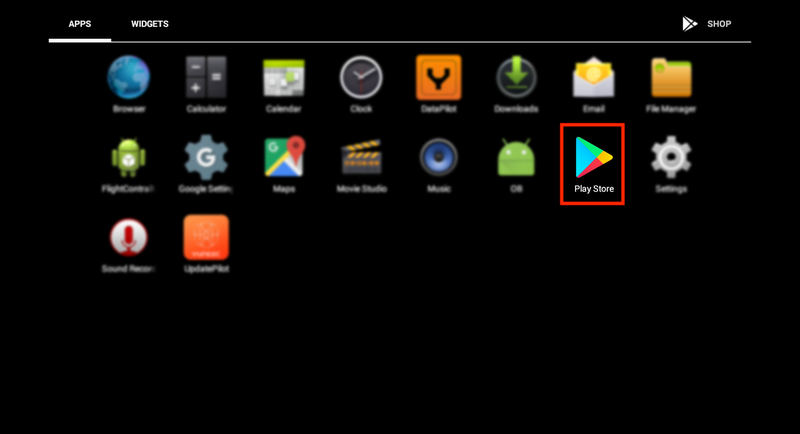 In order to use the automated mission planning, two apps need to be installed from Play Store: Pix4Dcapture and Ctrl+Yuneec. 1. Tap on Play Store. First exit Flight Data Telemetry Screen to be able to access the app menu. 2. 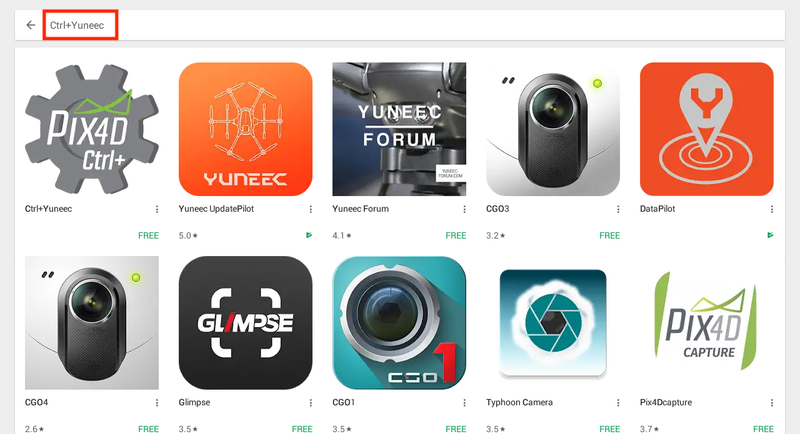 Search and select Pix4Dcapture and Ctrl+Yuneec. 3. 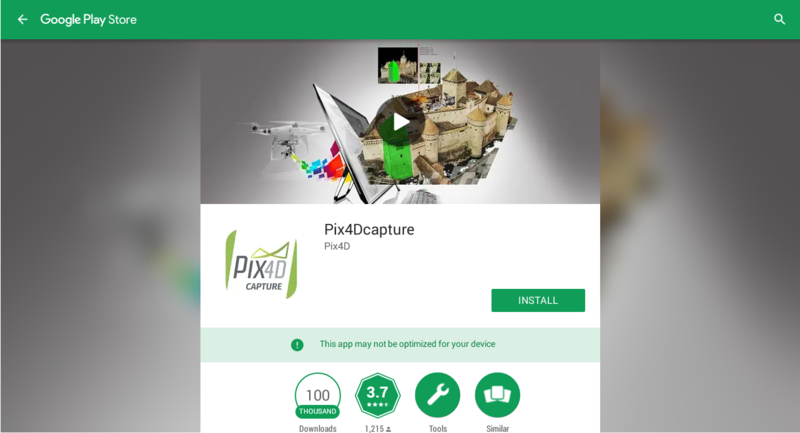 Tap Install for both Pix4Dcapture and Ctrl+Yuneec. 4. Tap Pix4Dcapture in the app menu of the controller to open the app. Currently supported on Yuneec H520 drone with the E90 camera on the ST16 and ST16S controllers.